Here are some things to consider when choosing the kind of gold that would suit you. Consider asking yourself questions like: What do I wear most of the time? Think about the color of your wardrobe that is predominant in your closet. Ask yourself if your skin reacts to metals. What are the metals that make your skin itch? Are you amenable to re-plating your jewelry every year to make it look like new? The answers to your questions are here, and you must read on. Gold comes in different karats and color forms. The most frequently used colors of gold are white and yellow. We can outline several differences between these types, including their advantages and disadvantages. As these two kinds of gold are in question, let us “weigh” them ourselves. These two kinds of gold weigh the same as far as karats are concerned. One difference they hold is their mixture of alloys in order to make them strong, as pure gold is soft and pliable. Yellow gold is a mixture of pure gold and alloys of copper and zinc. White gold, on the other hand, is made out of a mixture of pure gold and some white metals, like silver and palladium. Traditionally, nickel used to be mixed with gold, but when it was found to cause allergies on human skin, its use was eventually discontinued. White gold is chosen by many people due to its silver color, although it is sometimes more expensive when it is mixed with platinum or titanium. White gold is scratch proof compared to yellow gold, taking into consideration the alloys it is mixed with. When it comes to rings, white gold is mostly preferred, as it complements the color of the diamond, while yellow gold creates the illusion of a yellow tone in the diamond stone. White gold made with nickel could be an allergen. Its color appears to be faded. It sometimes is paired off with rhodium in order to give it a “shiny” effect, but rhodium fades and wears off – you need to re-plate it every time it wears, which would cost you extra. While white gold fades, yellow gold has the classic color for rings. Older gold rings are much better looking than the newly made ones; this is due to their components. Yellow gold does not need to be re-plated, which will save you some money. There is also a lower risk of allergic reactions. Yellow gold looks nice on people with warm skin tones, but makes people with cool skin tones look pale or washed out. Yellow gold is not “in” nowadays, the current trend being silver and platinum. It has to be polished regularly to retain its shine, and it is more prone to scratches and dents. The only thing that makes these two types of gold the same is the fact that both are “pure gold”, and are exquisite when put in jewelry form. They are both good choices. White gold coming from European countries no longer contains nickel; nickel is usually substituted with palladium. A nickel-free white gold is more expensive than yellow gold or the standard white gold. However, nothing comes close to owning pieces made out of yellow gold. Yellow and white gold have different metal alloy mixtures. Yellow gold looks more elegant and classic than white gold. Yellow gold requires less maintenance than white gold. White gold is better than yellow gold when paired with a diamond stone. 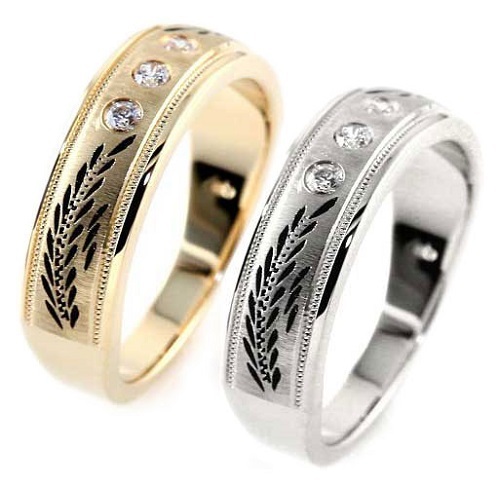 Yellow gold and white gold differ in prices. Celine. "Difference Between White Gold and Yellow Gold." DifferenceBetween.net. July 23, 2018 < http://www.differencebetween.net/miscellaneous/difference-between-white-gold-and-yellow-gold/ >. As I have seen in my country, yellow gold is preferred because of its traditional look and it suits us too. But it is entirely one’s choice if we want an expensive version or less maintainable yellow gold. since yellow gold does not look good with pale tone, it should be avoided. Cool, i used to thought platinum as white gold. but find out that white gold is something else. Nice Article. I buy gold and silver jewelry and I get a lot of questions from customers about the difference between white gold and yellow gold and this article explains it pretty well. I see a lot of 10ct. gold jewelery. I was wondering if that could possibly mean a lot more platinum or palladium in the pieces? If that is the metal they choose to use?